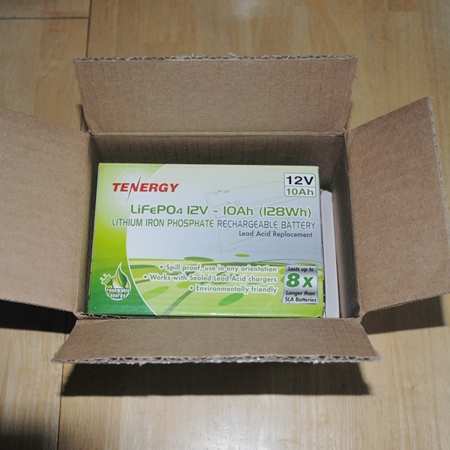 Lithium batteries, in one form or another, have been around for decades, starting in esoteric applications like telephone system batteries in hot climates. 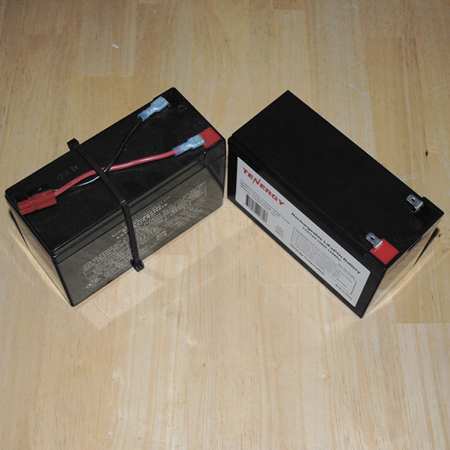 The RC Model crowd have been enjoying the strong power and energy densities available from Lithium Ion Polymer “flat-pack” batteries for many years. I use them myself in the UAV industry. The Summits on the Air (SOTA) amateur radio folks share the RC flyers’ quest for high energy densities – hiking a lead-acid battery up a mountain takes a toll. A great deal of information is found in the North American SOTA (nasota)  and the KX3  Yahoo groups. 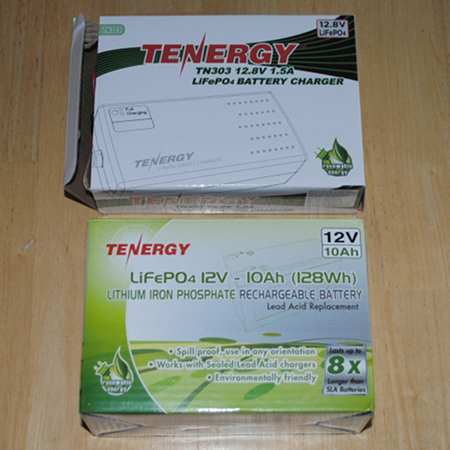 If you are looking to purchase lightweight batteries for any application, a spin through the archives of these groups is time very well spent. There are other variants of course, but the above are the ones that caught my eye. Let’s apply this to amateur radio gear by first understanding the vehicle power bus. The voltage range for a typical amateur radio transceiver mirrors the electrical bus characteristics of the automobile. The voltage range of the automobile electrical bus were set in stone many decades ago based on the voltage of six lead-acid cells in series. Combine this with the generation system, mobile radios must endure voltages from 9-18 Vdc. Unfortunately some products don’t comply with this and have a 15 volt maximum. Luckily the typical average voltage on an auto power bus is about 14 Vdc with only the occasional energy spike causing higher voltages. The problem with Lithium Ion Polymer is the higher voltage per cell. If we put three in series, we have 11.1 volts nominal and 12.6 volts peak… kind of low. If we put four in series, we have 14.8 volts nominal and 16.8 volts peak… kind of high. This gives us a battery with 12 to 13.2 volts nominal and 14.4 to 14.8 volts peak. 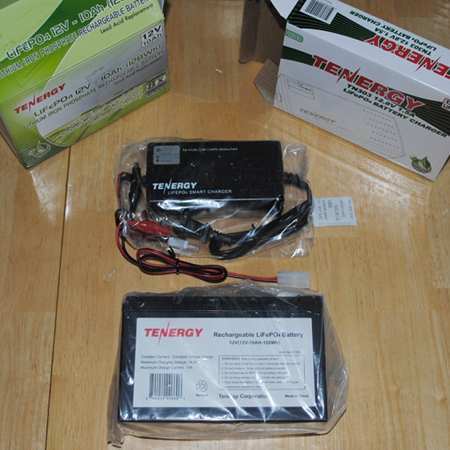 This is mighty close to the traditional six cell lead-acid battery. For my SOTA and ATGP work, I’ve hauled traditional 12 volt 7 AH gel cells up the mountain. They work great, have a very long and stable history and everyone knows how to work with them. Despite the crowing from the Lithium battery industry concerning lead in the environment, 96 percent of lead batteries are recycled . This is a very good record and we should all be proud. If weight isn’t an issue, there is really nothing wrong with good old lead-acid battery chemistry. Heavy they are though… they are made with lead after all. My current 2009 pair of 7AH gels is likely nearing end of life, so I was very interested in something new. I was leaning toward LiFePO4. 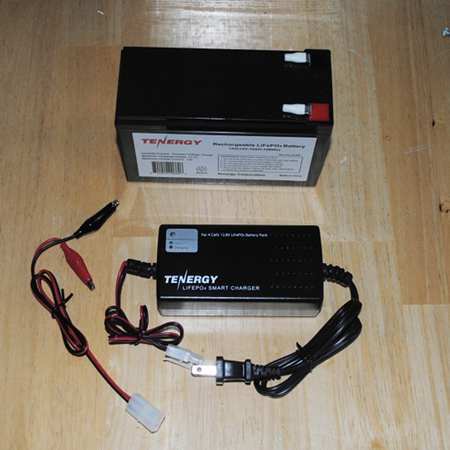 My sons saw this and gave me a Tenergy 12.8V, 7 AH battery along with a charger for my birthday. Wow. 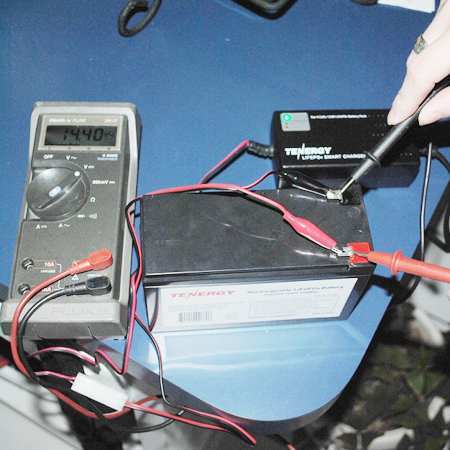 The morning after charging, the battery settled to a voltage of about 13.5 volts. Anyone notice the battery capacity is 10 AH not 7? I’m not sure what happened, but the order was for a 7AH model and this came instead. 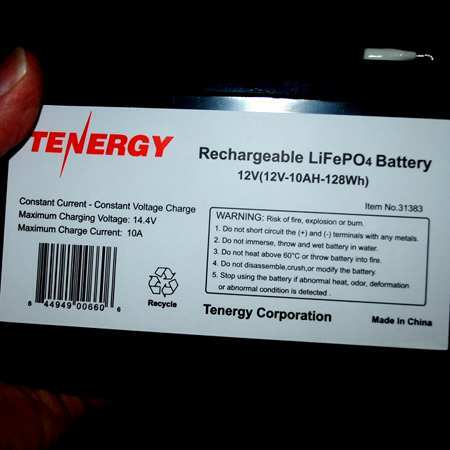 This battery is not much for looks, but it is very light and will make the backpack a bit easier to haul on the next SOTA portable expedition. 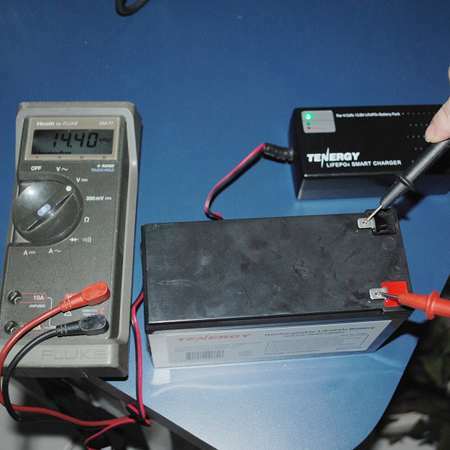 * This assumes, of course, you can squeeze all the energy out of the battery at a useful voltage and current. Lithium battery chemistry has brought us vast increases in the energy and specific density in power storage. This yields great benefits for the hiking ham. Long term reliability and cost effectiveness remain questions. Where weight is an issue Lithium batteries deliver. Lead acid’s almost legendary reign provides a robust mature technology where time tested reliability is the goal. Thankfully we have choice. I suspect lead is not dead yet. 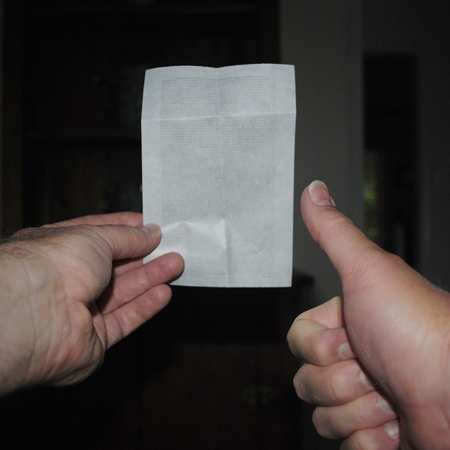 Lithium-Ion Polymer. In Wikipedia. Retrieved May 18, 2013 from http://en.wikipedia.org/wiki/Lithium_ion_polymer. Vehicular Power Bus - Hell on Earth?